Amitt Mahajan (@amittm), co-founder and CTO of Rare Bits and investor at Presence Capital, joins Erik and his guest co-host Tony Sheng of Decentraland for this episode. They dive into all things non-fungible tokens, explaining how they work, why they matter, and why they have so much potential. They explain why you you really only have tenuous ownership of the virtual goods that you purchase online and how the company that sold it to you can unilaterally take it back. Amitt and Tony get you ... See More to imagine the potential use cases if you could take virtual goods purchased in one game and take them to another game, re-sell them, or tokenize them. The three carry on to discuss the issues around the discussion of crypto more generally and how to get a broader audience to use crypto by ending the fixation on the technology itself and instead focusing on the value to the end-user. They talk about how to solve the supply and distribution problems when it comes to digital goods and discuss how marketing of crypto projects might evolve in the future. 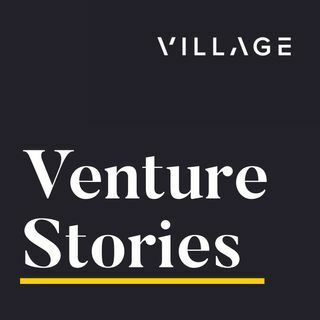 Venture Stories is brought to you by Village Global and is hosted by co-founder and partner, Erik Torenberg. Shawn Xu is our researcher, Colin Campbell is our audio engineer, and the show is produced by Brett Bolkowy.